FREE Kids Chicken Strips Meal With Purchase! 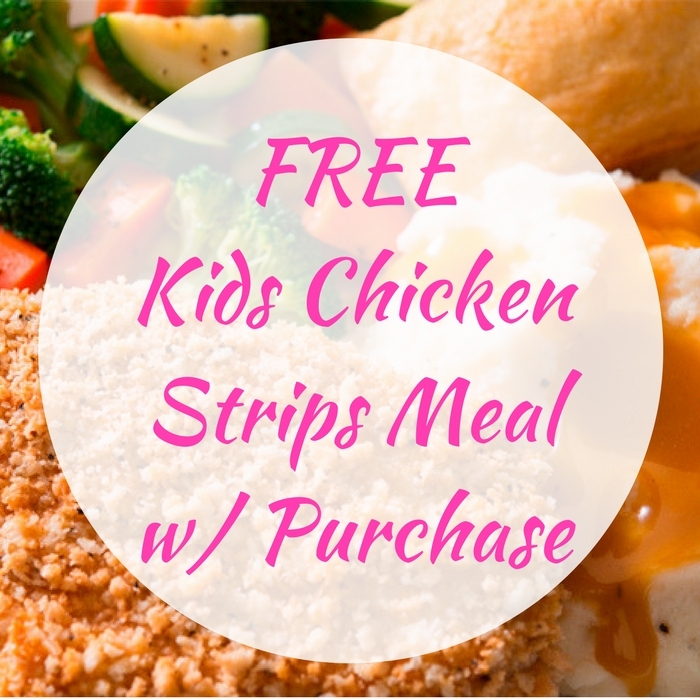 You are here: Home / FREEbies / FREE Kids Chicken Strips Meal With Purchase! On June 23 only! Hop over to your nearest Boston Market Restaurant to score a FREE Kids Chicken Strips Meal with any individual meal purchase! Just simply present this coupon when ordering. Note that there’s only 1 limit per customer!